Focus on skills and knowledge related to marketing. Undertake a paid placement. Graduate and embark on a rewarding career. BA (Hons) Business and Marketing Management forms part of our suite of business courses. Compared to the core Business and Management course, it has a greater focus on skills and knowledge related to marketing, including marketing management, planning and strategy, marketing communications, consumer behaviour and internet marketing. The course is accredited by the Chartered Institute of Marketing (CIM) and gives you exemption from its first two levels of study and certain modules at the Professional Diploma level. Sunderland is one of the first universities in the UK to introduce employability modules, which help you identify your strengths and aspirations, and plan for personal development. Throughout the course the focus is on innovative teaching and learning by doing and reflecting. One technique is problem-based learning, where you work within a small team to explore issues or decide how to manage a situation. This helps you to dissect, challenge and debate issues. Other learning techniques include company visits, guest speakers and cutting-edge e-learning technologies. These are in addition to a combination of lectures, seminars, debates, tutorials and workshops. Our assessment methods often include coursework and are designed to help consolidate learning. Other methods include assessed case studies and business simulations, presentations, reports, essays, tests and time-constrained assessments. You’ll be based at The Reg Vardy Centre, at The Sir Tom Cowie Campus at St Peter’s. This is home to the Sunderland Business School and the St Peter’s Library with thousands of books related to business, marketing and strategy, economics, management and human resources. Our typical offer will be in the region of 112 points from a minimum of two A Levels or equivalent (for example 1 x AVCE double award). As a graduate of this course you'll have excellent skills and knowledge in marketing management, planning and strategy, accounting and finance and digital marketing. You will be ready to step into a marketing role in a wide variety of industries across the world. 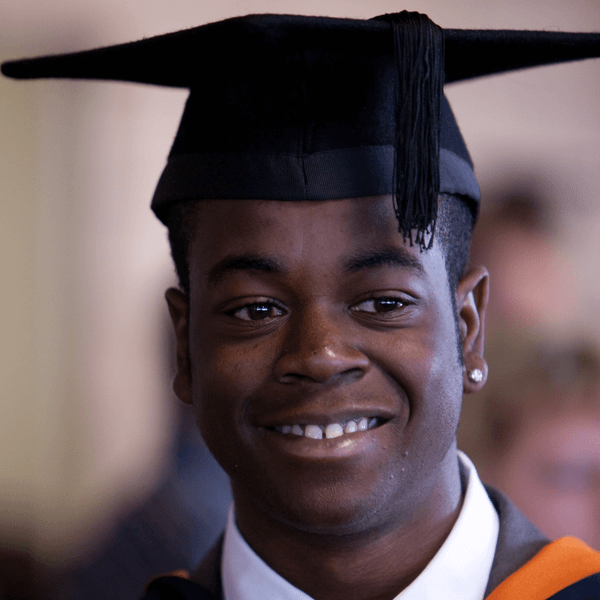 Previous Business graduates have roles with companies including Facebook, Bloomberg, Viacom 18, Barclays, Sage, Riu Hotels and Resorts, Enterprise, Esh Group, Marriott, Proctor and Gamble, and Hewlett Packard. To further enhance employability we encourage you to undertake a 48-week placement between your second and final year. It effectively becomes a third year of a four-year course. Placements are paid, with an average salary of £14,000-£18,000 a year depending on your location. Placements are an excellent opportunity to put your learning into practice and understand the context for your new knowledge. The contacts made during placements can also be valuable for future job offers. The University supports student-led initiatives that help you gain practical experience of management. The Business Student Society organises events and guest speakers, as well as attending tours of various companies. With its professional approach, it’s a great way to put into practice the lessons about how to make organisations function effectively. There is something for every student who is studying a subject related to business. Our invitations to guest speakers allow you to listen to people who are already in the type of management position that you may one day hold. Recent speakers include Maurice Duffy, CEO of Global Blackswan, Mike Johnson, CEO of Castrol and Executive Vice President of BP, Uday K. Dholakia, Senior Partner of Global Consulting, Neil Stephenson, CEO of ONYX, James Ramsbotham, CEO of the North East Chamber of Commerce, as well as other representatives from a number of our region’s largest employers. Visiting speakers help you relate academic learning to the real experience of people who have already progressed in their careers. It’s all part of broadening your learning so that you’re prepared not just for exams but for life. Our Exploring Marketing events enable you to learn more about pursuing a marketing career and the benefits of professional qualifications. Previous industry speakers have included Samantha Cwordon, Marketing Manager of The Bridges and Jonathan Sabarre, Vice Chair of CIM North East. 93.4% of our graduates are in employment, further study or training within six months of graduating, according to DLHE 2016/17 (based on full-time, first degree, home leavers). Examples of companies that have recruited students from Sunderland include leading names in IT (Microsoft, IBM, Intel, Hewlett Packard), consumer goods (P&G, Nike, Adidas), banking (Lloyds TSB), hospitality (Marriott Hotels, Starbucks), and the public sector (NHS). University of Sunderland provides a nurturing environment for those who want to learn. The support I received throughout the course was brilliant.